Receiving child support can have unexpected effects on the disability you are receiving for that child. This is a guide about child support for a child receiving disability. I have 2 questions. First, I have a small child who is disabled and I receive SSDI and I'm his payee. Now I just recently filed for child support, I want to know if the child support will affect or interfere with his SSDI? My second question is, since I'm the payee, his father is trying to do the same. Is he able to do that? How many payees can there be? Definitely, any type of income will affect your SSDI payments. Only one Payee is allowed/named for a child. These are questions you should ask your local Social Security office to be sure but I doubt very much that collecting child support for your child is going to make much of a difference for the amount your child receives for their disability. Disability is a completely different issue than the non-custodial parent paying his/her fair share to pay for basics needs such as housing, food and clothing that they would have to pay for anyway. As for the father trying to be the payee (or co-payee) that too is a question for S.S. but that too is highly unlikely unless he is the custodial parent which, since you're filing for child support, he obviously is not the custodial parent. He's just trying to get control and possibly keep from paying his fair share of supporting the child. Please go to your local SS office and sit down with a case worker to let them know everything that's happening. They will do their best to help you and will tell you the truth. Go to your local Social Security Office and present all your questions to them. I was in a some what similar situation and benefitted from just asking them outright. Don't take the advice on this from anyone except SSDI. They will see that you get every penny you have coming to you. Some people think they are out to prevent people from getting benefits but this is not true. They are the only ones who have all the answers and are in a position to help you. Just an FYI, before I started drawing my social security at 65 I make a trip to my local SS office. I was married to my husband for 19 years and am now divorced. When I asked if I could draw more by collecting on half of my former husbands the young lady behind the desk said "Oh No, you can't draw his". I knew better and told her so; she left her station and came back saying "you're right, you can". So question, then question again, and again by calling and asking more than on person. Check out the Social Security Administration website. Search for SSI Income Reporting. It's a long list, says child support has to be reported as income if you have a disabled child. Yes I can tell you from experience that it will come out of the payment until they reach a certain age. It isn't really fair though, is it? If you have a child with a disability that will be lifelong, then make sure you ask the judge for lifelong child support that doesn't end when he or she gets to be an adult. My son is 18 and draws SSI. He gets a child support check from his father. The SSI is not much because he gets that support check. When my disabled son turns 19 am I required to draw directly the full amount from SSI which will be more of course if his father has no support obligations. You should contact SSA for answers to your questions. Usually SS for children stops at 18 as the child is considered able to support himself. Re child support you receive for your-if your son is disabled and not able to support himself in any way after age 18, his father (or the noncustodial parent), may be required to continue child support payments for an indefinite period. Child support laws vary depending upon the state in which you and your child live. My son is totally disabled and just started receiving SSI since he turned 18, so that will continue. He doesn't get the full amount because he received child support from his father. My question is : Will I have to draw the full amount of SSI, so his child support can be discontinued? Re SSI-Again, you must contact SSI about your son's benefit and any other SSI & SSDI questions. However, your son's father should continue to provide support payments for his adult totally disabled child. These payments would continue to reduce the SSI benefit unless the father is unable to continue payments. SSI does not stop at any "age" but continues as long as the person is unable to care or support themselves. This is usually the case with child support also. 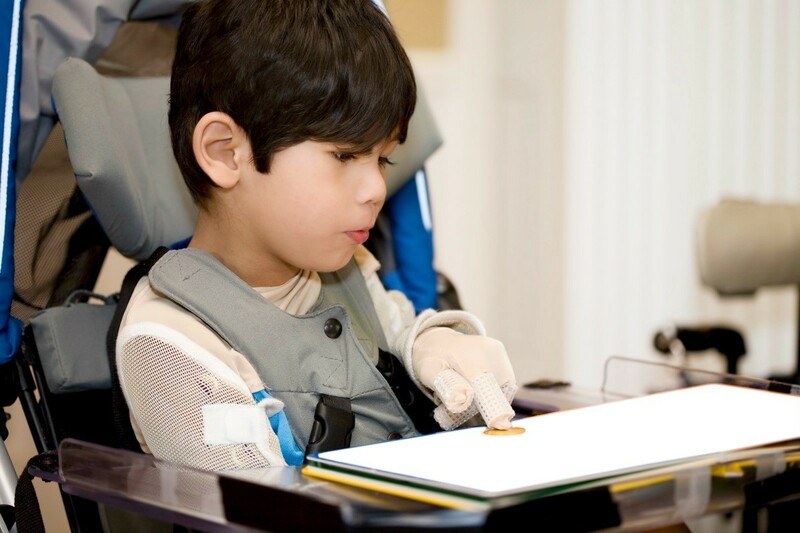 The support payments do not end at any certain age for a disabled child. Your original court support agreement should have stipulated this. If it did not then you should return to court to have this done. The child should receive support from the parent and SSI for as long as necessary. It is true that states have different "laws" about support but SS does not and they will probably insist that support payments are continued as long as possible. My grown son is disabled (cerebral palsy, his physical ability is that of a 10 month old). I have over the years been awarded child support in excess of what SSI would provide for our son. My ex-husband (dad) believes that since SSI is available or an option should he not pay his support, that that should absolve him of his duty to support his son and that his son should get SSI instead. I disagree. I feel like SSI is a form of welfare and since our son has 2 parents who are both financially able to support him (we both work and make a decent wage), we should be responsible to do that, not have our son receive SSI because we no longer want to have that responsibility. Am I wrong? Check with your local Social Security Office. Does your son still live with you or is he in some kind of home? My thought is unless you have some kind of trust fund set up for him to care for his expenses after you and your ex-husband are gone, you should have your son either on SSI or Social Security Disability. You won't be around to take care of him forever. If he still lives with you, you should make sure there are arrangements in place so that he is cared for when you can no longer do it. I should also have added, that depending on your total income and what he gets in child support, he could still qualify for some disability income. If your son is disabled he is able to receive Medicaid Payments. He may be able to draw SSI from your husbands SS account. You can call or go to local SS office and find out. Now that he is an adult, he can draw money from the state. If you and your husband have money to take care of him, this money could be put in an account just for him incase something happens to you and / or your husband, so he can still get he care he needs. He should also be able to get Medicaid medical insurance that will pay for all his medical needs. Good Luck! I think your husband is right. If my ex-wife receives disability benefits for our minor son, and I get (have) legal custody, does she have to forward those payments to me? She pays me no support. If you have legal custody I don't know how she is receiving the payments. Don't waste time, get appointments with your local Social security Office and your local Office of Child Support Enforcement. All areas have both of these offices, it might not be in the town where you live, but they will be reasonably close. The check needs to be sent to the person the court designated as legal custody or as the law would say, more than half the care of the child allows you the tax credit. Maybe did not think of that either. The disability payment has a trail of paper behind it. Check the source, maybe check with human services...sounds like that might be the beginning. Will my child support goes down if the mother is receiving a disability check for our son? We have two children together, or will they do a percentage of it? I live in Florida. Will your child support go down when you have shared parenting? The mother doesn't work, but she's receiving unemployment every two weeks, plus my child receives a disability check and child support. She is taking me back to court for more money, but she didn't report that she's receiving disability for our son. Child support is usually figured on a percentage of the non-custodial parents income. It still takes a certain amount to raise a kid. Until my daughter was 20, my "ex" paid $300.00 a month in spite of the fact that she was also receiving a disability check. I wasn't working, but the child support enforcement officer in the town that we lived in said my share of support would be the fact that I cooked, did laundry, cleaned, etc. for our daughter. Support your child. He will be grown one day and you won't have to pay. I wish fathers would stop begrudging every penny of child support. It is never enough anyway. Just pay.